Suffolk County Legislator Rob Trotta is collaborating with the Smithtown Emergency Food Pantry to collect food for holiday meals for families served by the food pantry. Donations may be dropped off at Leg. Trotta’s district office at 59 Landing Avenue, Smithtown, Monday through Friday from 9am to 4pm until December 16. The Food Pantry will also accept gift cards to purchase turkeys and other fresh items. Photo by: Virginia State Parks staff, licensed under CC-BY A 2.0 Generic. Smithtown, NY - October 31, 2016 - Suffolk County Legislator Rob Trotta is collaborating with the Smithtown Emergency Food Pantry to collect food for holiday meals for families served by the food pantry, which is located at St. Thomas of Canterbury Church in Smithtown. In existence for more than 30 years, the pantry is supported by contributions from the community, as well as the parishioners of seven Smithtown Churches who volunteer to staff the pantry and organize the supplies. Non-perishable food including canned vegetables, soups, yams, beans, cranberry sauce, tuna, chicken, salmon, stews and meats, fruit and fruit cups, as well as Stove Top Stuffing mix, gravy packets/bottles and spices, macaroni and cheese, rice, pasta, sauce, nuts, granola bars, brownie mixes, apple and cranberry juice, peanut butter and jelly, shelf-stable milk, water and other food for a Thanksgiving or holiday meal are being collected. In addition, paper goods such as plates, napkins, paper towels, and toilet paper are also needed. Donations may be dropped off at Legislator Trotta’s district office at 59 Landing Avenue, Smithtown, Monday through Friday from 9am to 4pm until December 16. The Food Pantry will also accept gift cards to purchase turkeys and other fresh items. 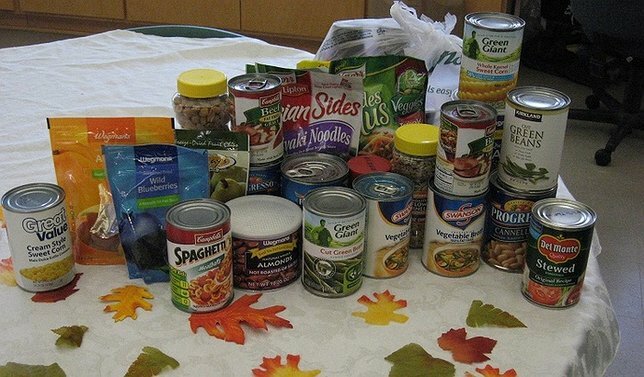 Legislator Trotta said, “The Smithtown Emergency Food Pantry does a wonderful job throughout the year of assisting area residents who need a helping hand. Holidays are a time for family, friends and giving and every family should be able to share a holiday meal together,” said Suffolk County Legislator Rob Trotta. For more information, please call Legislator Trotta’s office at 631-854- 3900. Subject: LongIsland.com - Your Name sent you Article details of "Suffolk County Leg. Robert Trotta Hosts Holiday Food Drive for Smithtown Emergency Food Pantry"